Not your average brekkie: five super quick ideas to kick start your day! I bet you’re sick of being told “breakfast is the most important meal of the day” by now. Who actually has time nowadays for anything except a quick bowl of soggy cornflakes or a limp slice of toast, if anything at all? 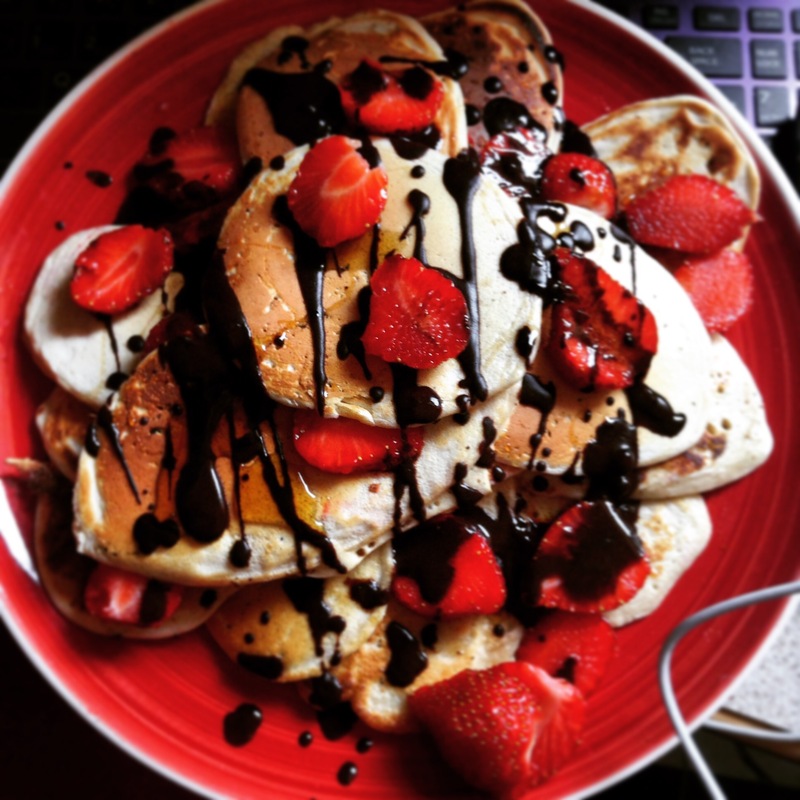 Feeling like eating breakfast just a boring chore? Well don’t worry – you’re not alone. Over ½ us Brits have confessed to starting the day with an empty stomach, with 18-24 year olds being the most likely to skip the bacon sarnie. Eating breakfast shouldn’t be a chore. And it shouldn’t be boring. Not only does a bowl of brekkie give an immediate feeling of well being and enhanced cognitive performance, but in the long term will improve your overall diet quality, meaning less snacking, more of the good stuff and improved weight management. But you don’t have time in the morning I hear you say in the back? I completely feel you. Sleeping through your first (and second, and third…..) alarm really doesn’t help my already mad rush for uni. But hear me out. I’ve got five, super tasty, super nutritious breakfasts hear which all take less than five minutes to make. My personal favourite and possibly the quickest brekkie ever. Chop up some mushrooms and lightly fry for two minutes. 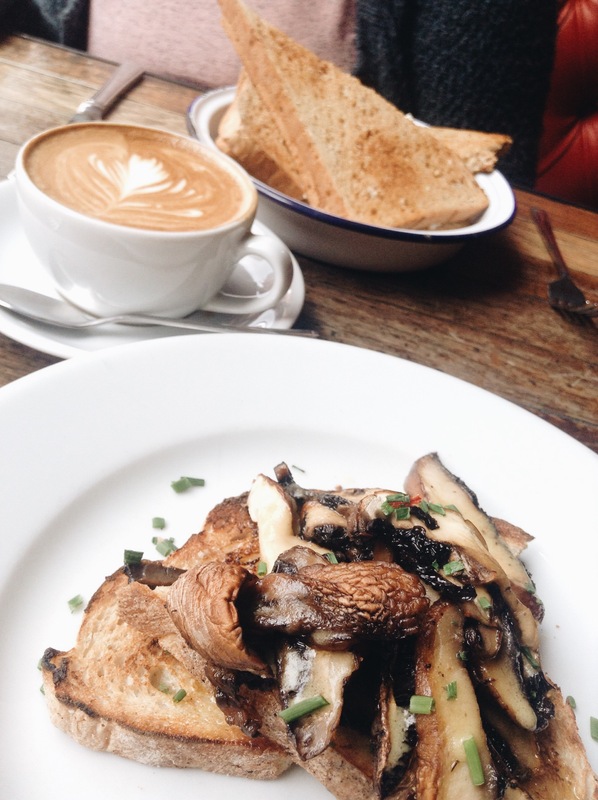 Whilst your mushrooms are sizzling away, pop a piece of seeded bread in the toaster and then, serve. Simple! Mushrooms are a wonderful way to get veggies in your day from the get go. They’re full of selenium and potassium, as well as being low in calories. Choosing seeded bread is not only tastier (in my opinion), but is full of fibre and phytochemical rich – keep that digestive system flowing smoothly from the get go! Twisting up the standard bowl of Quaker Oats, put some life back in your porridge. 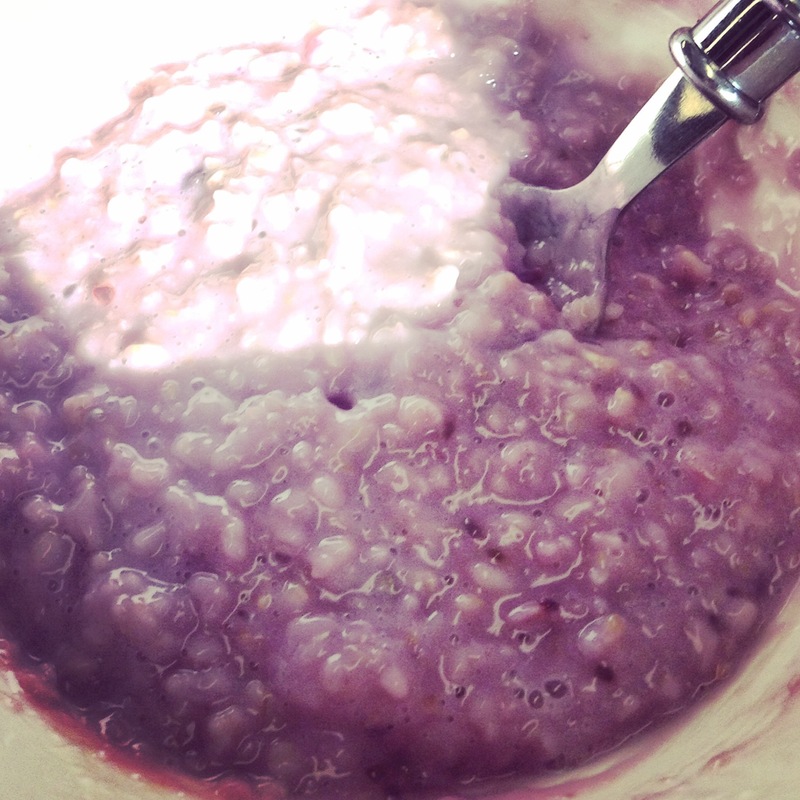 Half a cup of oats, half a cup of milk, a handful of frozen blueberries, microwave, bam. Two minutes and you’re done. Oats are a great source of dietary fibre and minerals. Research published on the American Journal of Clinical Nutrition found eating whole grains (like oats) is just as effective as anti hypertensive medication for reducing blood pressure, showing just how great they are for your long term health, as well as providing immediate feelings of fullness. Blueberries are also packed with plenty of antioxidants, as well as adding a pop of flavour and colour to your breakfast. A minute tops for this next one. 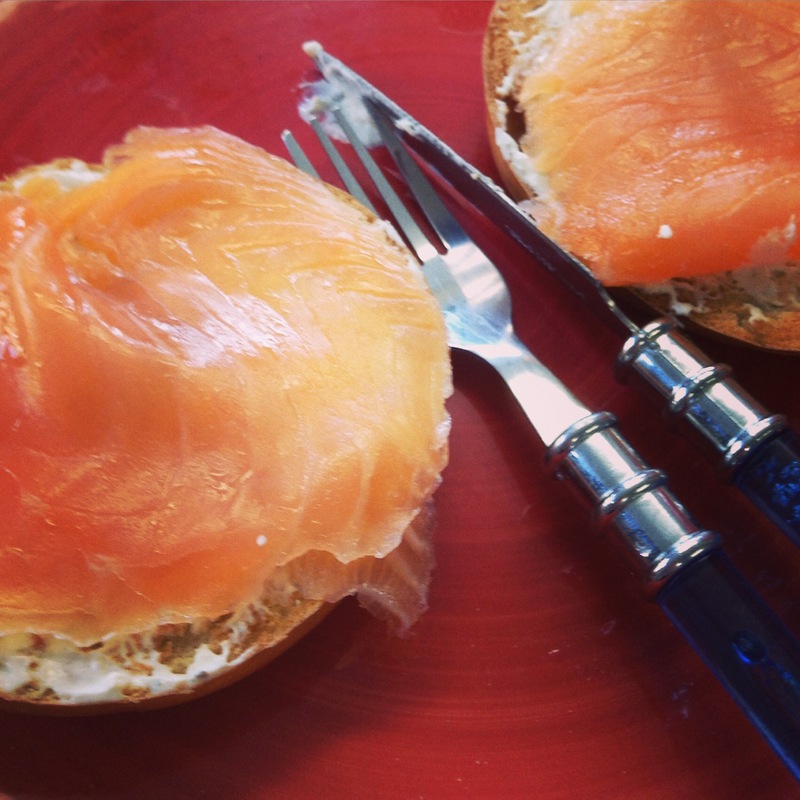 Slice a bagel, whip on a layer of cream cheese, take the salmon out the packet, pop it on. Voila. Now I know the concept of eating raw fish is weird for some. But you can’t knock it until you’ve tried it. And smoked salmon is not only a wonderful (and tastier) alternative to bacon, but the fats you get from fish are much better. They called omega 3s, the good fats what give you brain power! Complementing the salmon with cream cheese provides texture contrast, as well as being an excellent source of calcium. Boil a bit of extra water with your cuppa, because it’s poached egg time. Crack it into boiling water and cook for 2-3 minutes. Whilst the magic happens, chuck some spinach and kale (you can get this ready washed in bags) into a pan and cook down. Add it on a plate with some spicy chorizo chunks and place your egg on top. Who said breakfasts can’t be fast and fancy? Eggs are an eggcellent source of protein, and poached eggs contain less fat than your standard fried or scrambled. The University of Pennsylvania School of Nursing found that kids who eat eggs for breakfast feel fuller and consume less calories at lunch – win win. Get a bowl and mash a banana with the back of a fork. Beat in an egg and a splash of milk, then spoon the mixture in a pan and fry. Serve with some Greek yogurt and a drizzle of honey, or carob sauce and strawberries. Dreamy. Ditching the batter for the banana is the way forwards. Not only is the recipe low in fat, but it’s full of fibre which improves digestion and leaves your tum nicely satisfied. Bananas are also full of potassium, which balances out with sodium in your body to help reduce blood pressure.